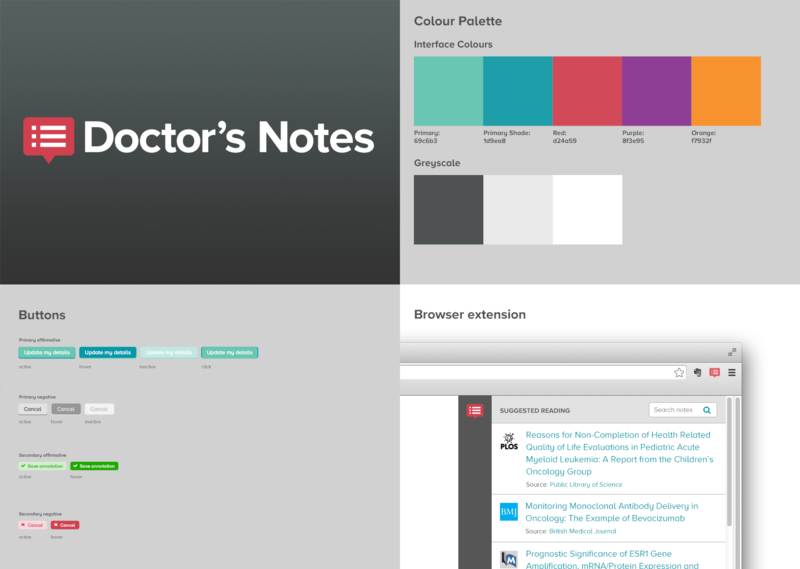 Doctor's Notes was a tool designed for Healthcare Professionals (HCPs), who, as part of their ongoing professional development are required to read, review and write journals, articles and research throughout their careers. 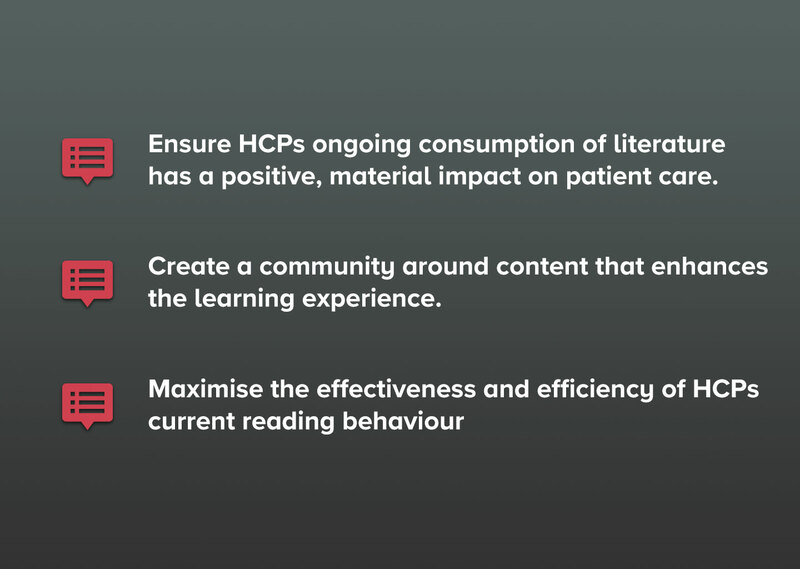 We had identified a lack of support for these activities within the digital sphere, so we set about developing a tool that would enable a better learning experience and to maximise the effectiveness and efficiency of their current reading behaviour. The tool itself was made of two main components; a browser extension, which enabled highlighting, note taking and sharing of passages of text – be they web pages, PDFs or any content viewed through the browser – and a website which acted as the repository for the content collected via the tool. 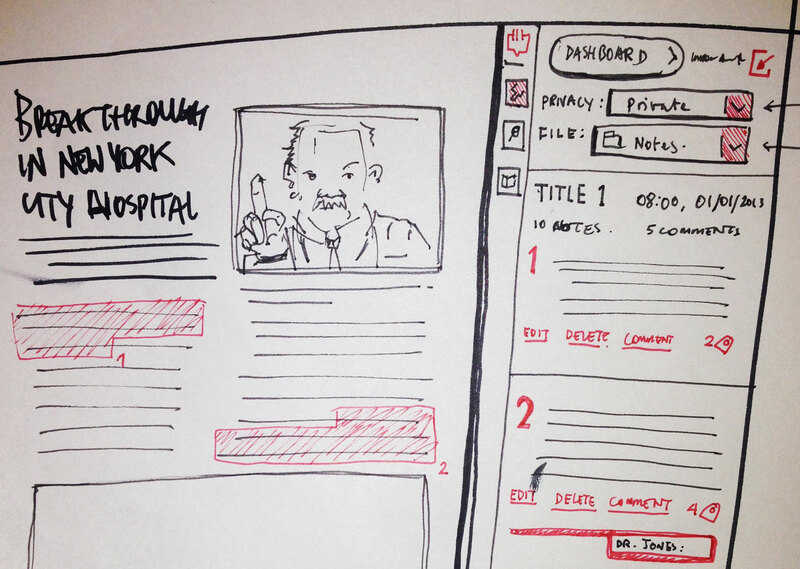 Through UX concept workshops a basic model of the product was developed by the team which would give engineering a kernel from which to start building the tool – creating a fully functional prototype in tandem with user experience, in the meantime user interface could begin to create a visual language for the tool. This was an extremely exciting process to be working on, for the first time properly breaking out of 'Discipline Silos' and embracing a super lean product development model where features could be ideated and built with immense speed. I described the model as the 'Product Trifecta', basically at the core of the product team were user experience, user interface and engineering working simultaneously with a shared vision. Our ambition was to get an MVP out into the wild as quickly as possible, in order that we could validate and iterate as rapidly as possible, the idea being we could hone the product and deliver something more useful to our audience in as short a time period as possible, such was the urgency of our mission. Each team member needs a strong understanding of their partners disciplines to the point of being hybrids – engineering need strong user experience literacy and vice versa, user experience need a strong grasp of technical issues – likewise user interface need strong frontend skills and user experience understanding, in order that compromise is achieved in feature development. A process like this requires real commitment and maturity. The product was effectively designed in the browser, so clear and simple visual development proved the most effective way to communicate design vision to engineering – that and close collaboration, working side-by-side with the developers to realise our aims.